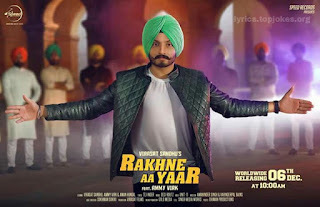 RAKHNE AA YAAR SONG: A Latest Punjabi Song in the voice of Virasat Sandhu feat. by Ammy Virk. This song based on friendship is composed by Desi Routz while lyrics is penned by Tej-Inder. Nai taan todd dungi yaari..